I have been living in the Sioux Falls area over 25 years. I am familiar with the surrounding rural areas as well. I LOVE helping people find and sell homes! I have had experience with first time home buyers, move up buyers and even downsizing clients. 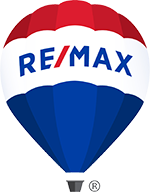 Whether you are buying or selling a home, big or small, I will be with you every step of the way to answer questions and listen to YOUR wants and needs. I will put to use my negotiation skills, marketing skills, knowledge of the industry's current rules and regulations to assist in a smooth transaction. I pride myself in providing you with outstanding customer service and honesty. I would be honored to represent you and make your experience a pleasant and stress-free one.